Lease Offer. $3,970 due at signing includes $2,995 down, $0 security deposit, $645 acquisition fee and first month's payment of $330, excludes additional options, taxes, title and fees. Lease Offer. $4,006 due at signing includes $2,995 down, $0 security deposit, $650 acquisition fee and first month's payment of $361, excludes additional options, taxes, title and fees. 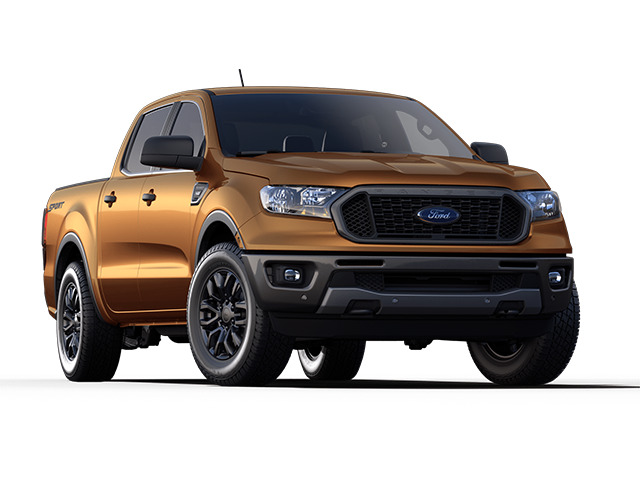 The FordPass Connect feature in the Ranger can create an in-vehicle Wi-Fi hotspot to which you can connect up to 10 devices, so your passengers can stay in touch wherever you roam.174 You can also use FordPass to keep track of your Wi-Fi data usage. The hotspot can be accessed up to 50 feet outside the vehicle. The available Terrain Management System lets you shift on the fly into one of four modes -- Grass/Gravel/Snow, Mud Ruts, Sand and Normal mode. Each mode has specific mapping for the throttle and transmission, which adjusts throttle tip-in and shift points. MSRP of $37,595. $3,970 due at signing includes $2,995 down, $0 security deposit, $645 acquisition fee and first month's payment of $330, excludes retailer fees, additional options, taxes, title and registration fees. Total monthly payments equal $11,880. Total payments equal $15,520. Actual rates and payments of closed-end lease may vary. Not everyone will qualify. 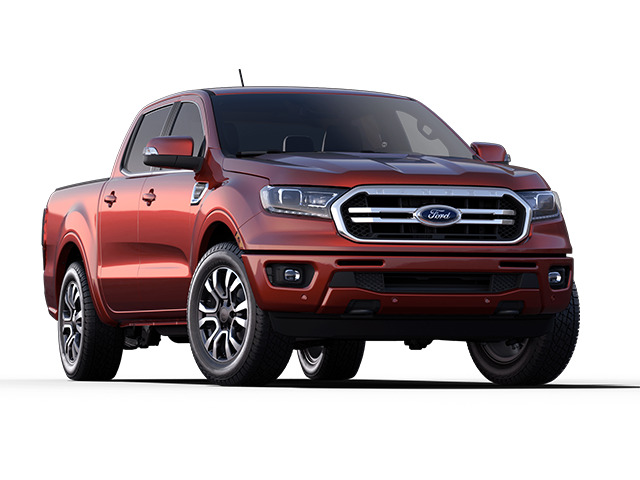 You must take new retail delivery from dealer stock by 4/30/2019. Lessee responsible for insurance, maintenance, excess wear and excess mileage over 36,000 miles at $0.25 /mile. All amounts shown are estimates, retailer sets actual amounts. Includes all applicable offers. Residency restrictions apply. Lessee has option to purchase vehicle at lease end at price negotiated with retailer and approved lender at signing. Termination fee may apply. Contact dealer for availability and for complete details. MSRP of $41,275. $4,006 due at signing includes $2,995 down, $0 security deposit, $650 acquisition fee and first month's payment of $361, excludes retailer fees, additional options, taxes, title and registration fees. Total monthly payments equal $12,996. Total payments equal $16,641. Actual rates and payments of closed-end lease may vary. Not everyone will qualify. You must take new retail delivery from dealer stock by 4/30/2019. Lessee responsible for insurance, maintenance, excess wear and excess mileage over 30,000 miles at $0.25 /mile. All amounts shown are estimates, retailer sets actual amounts. Includes all applicable offers. Residency restrictions apply. Lessee has option to purchase vehicle at lease end at price negotiated with retailer and approved lender at signing. Termination fee may apply. Contact dealer for availability and for complete details.